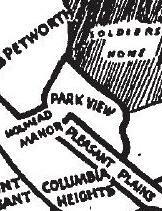 Office of Planning | Park View, D.C.
Map showing the area elements of the Comprehensive Plan. Last week, it was announced on several listservs that the District had extended the Comprehensive Plan Amendment Period from May 26th to June 23rd. This provides more time to anyone reviewing the Comprehensive Plan to read it and suggest where it can be improved to meet the needs and goals of our growing city. I’ve been able to read several chapters and submit amendments already, and while I find the online process a tad clunky, it isn’t difficult to register and submit a proposed amendment. My suggestion to anyone who may fine the Comprehensive Plan daunting is to focus on the things that matter to you and prioritize those parts of the document first. For example, my initial focus was on the Mid-City Element and the chapters focusing on Land Use, Parks Recreation and Open Space, Historic Preservation, and Arts and Culture. Now with more time, I can on to Infrastructure, Transportation, Housing, and Urban Design. 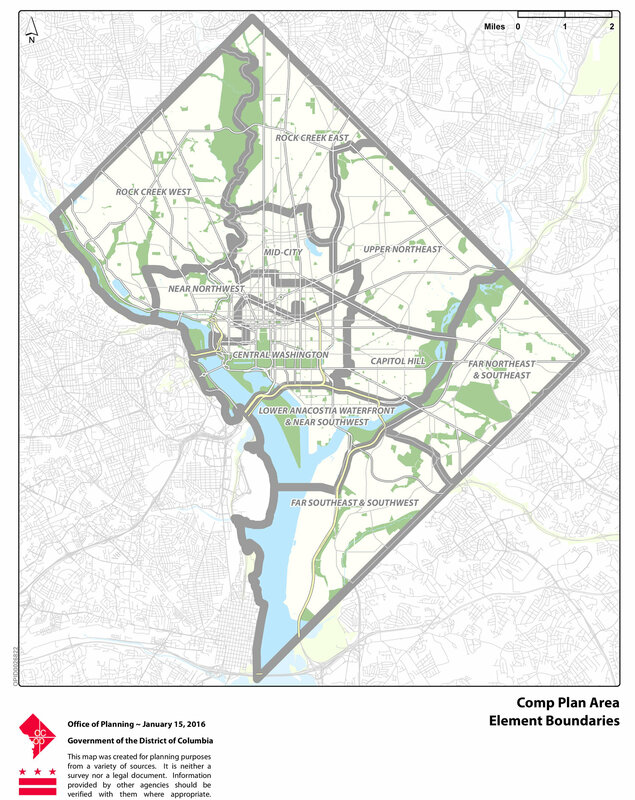 (WASHINGTON, DC) – During the “Open Call” period of the past two months, the DC Office of Planning has received hundreds of Comprehensive Plan amendment proposals from stakeholders across the city. Based on conversations with a variety of stakeholders, we expect hundreds more amendments will be submitted before the original deadline of May 26. In response to requests from Advisory Neighborhood Commissions and other community groups, the District will extend the Open Call for almost a full month, through June 23. For more than a year, Mayor Muriel Bowser, the DC Office of Planning (OP), and the Office of the Deputy Mayor for Planning and Economic Development have engaged the public in a conversation about how Washington is growing and the role of the Comprehensive Plan in shaping future development. The Comprehensive Plan is the 20-year plan the District government uses to guide future development within Washington, D.C. It contains the maps and policies that influence the neighborhoods in which residents live, work, shop, and play, as well as the investments the city makes in its services and infrastructure. Most importantly, it is the primary tool that helps the District to manage change in a way that embraces progress while protecting the qualities that make DC a special place. During the extended period, the [PLAN]DC project team will be available to provide assistance in drafting and submitting amendments. OP has also created the “meeting in a box,” a kit containing all the materials a community representative would need to lead a conversation with constituents about the Comp Plan amendment process. 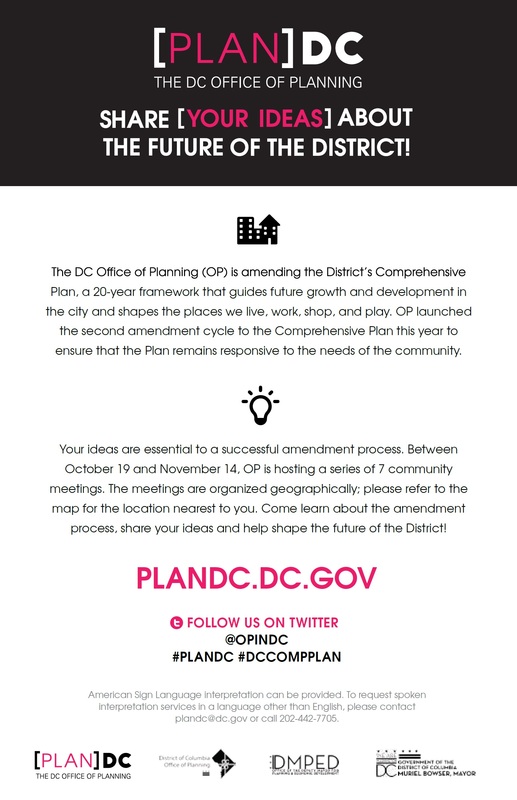 Interested parties may contact the [PLAN]DC project team at plandc(at)dc(dot)gov to ask questions or request resources. Those who do not wish to propose a specific amendment, but instead would like to share a general idea for consideration may also write the project team at plandc(at)dc(dot)gov. It is time to update the District’s Comprehensive Plan — the document that will guide development and urban growth for the next 20 years. This is a good time to take stock in what kind of city (and what kind of neighborhoods) you think Washington should be. Fortunately, the Office of Planning is kicking off a series of community meetings in order to hear from you on what you think should be in the plan. 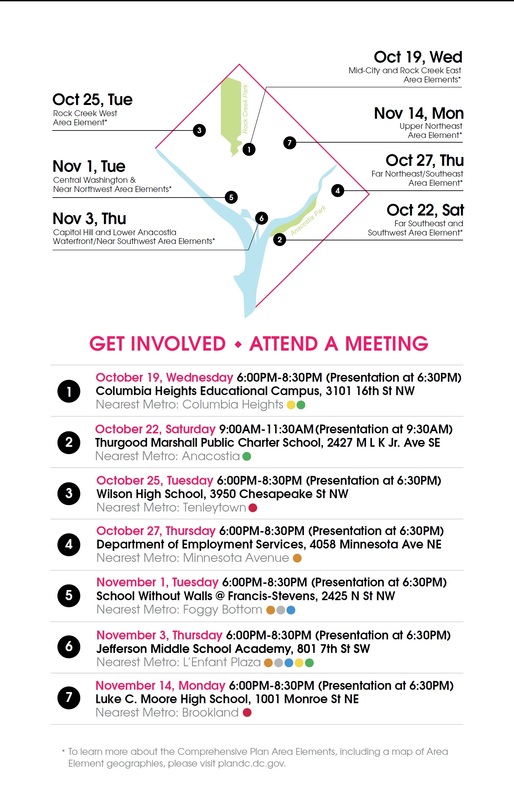 The meeting most convenient to residents of Park View and Columbia Heights will be held on October 19th at the Columbia Heights Education Campus. See the flyer below for details. Recently, there has been a lot of discussion regarding planning and zoning as it pertains to our older residential neighborhoods — particularly in Ward 1. 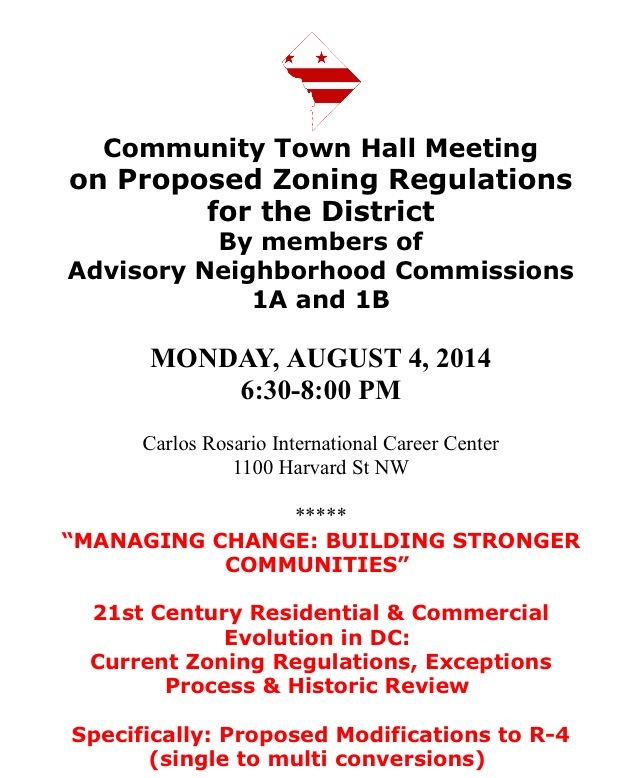 In Lanier Heights, there has been discussion to down zone the rowhouse areas currently zoned R-5-B to R-4. One of the significant differences between the two is that R-5-B allows apartment dwellings whereas R-4 is primarly for single-family rowdwellings which “can” be converted to apartment dwellings under certain conditions. 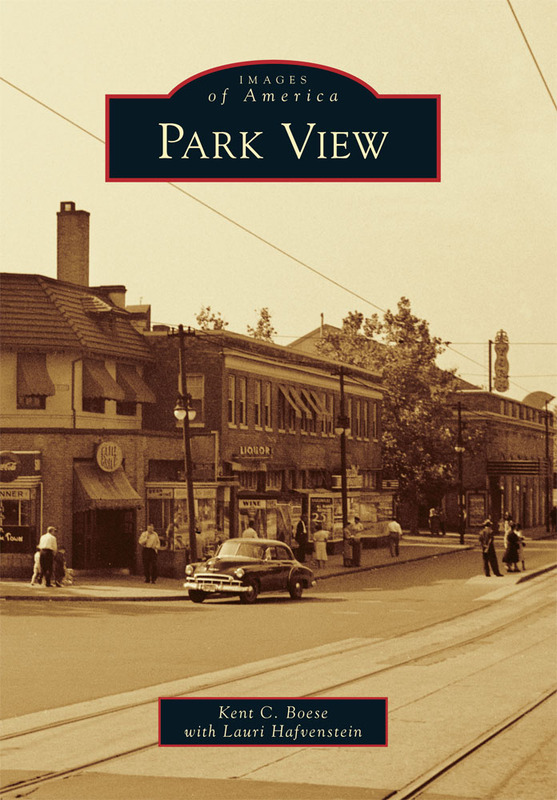 In much of Columbia Heights and nearly all of Park View, our rowhouses are currently located within the R-4 Zone. Even here, there is a proposal to make changes to the R-4 zone to reduce building height from 40 ft. to 35 ft. and to limit conversions to no more than two dwelling units (unless the owner gets a special exception). 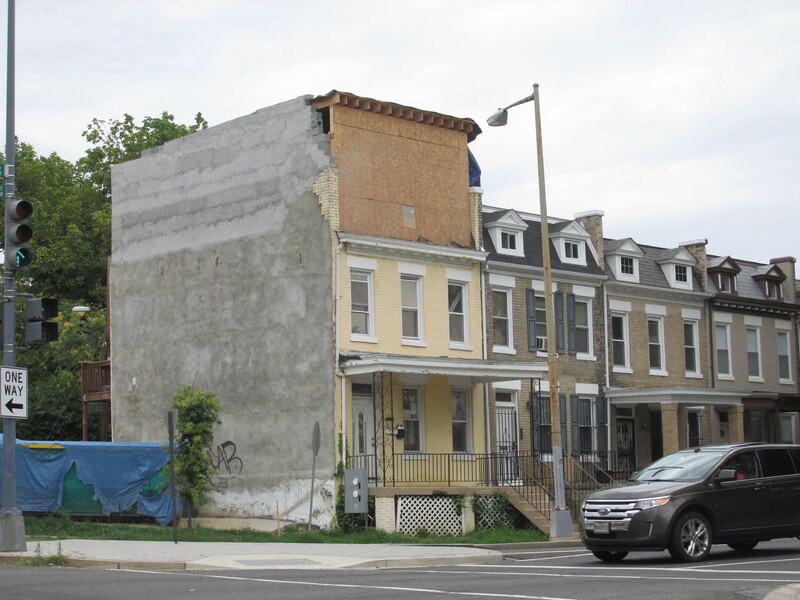 The Office of Planning’s proposal to make these changes is in response to the ever increasing occurrence of developers flipping rowhouses in the R-4 zone, converting them to multi-family dwellings, and “popping-up” the houses with another level. Often times, the result of these flips has been less than attractive, resulting in many reaching out to the Office of Planning seeking help in controlling this trend. Additionally, this has had a direct and negative impact on the number of available living units with three or more bedrooms, thus increasing the cost for family sized housing in the city. On Saturday, September 27th, Advisory Neighborhood Commissions 1A and 1B will be co-hosting a community workshop with members of the Office of Planning to foster open discussion on the current stresses within the District’s rowhouse neighborhoods. The workshop will discuss the process behind their current proposals as well as the pros and cons related to adopting them. Construction at Columbia Road and Warder Street. Pop-ups — or, construction projects that add height to existing row dwellings — has been in the news a lot over the past year. When pop-ups occur, it is often a prelude to a single family home conversion to a multi-family dwelling. One thing coming out of the discussion about pop-ups — and out of the Zoning Regulations Review (ZRR) hearings — is a proposal by the Office of Planning (OP) to change two elements within R-4 Zones. R-4 Zones are typically residential areas that largely contain 2- and 3-story row dwellings. The proposal currently being considered by OP consists of two parts. The first would reduce the allowable building height within the R-4 Zone from the current 40 ft. to 35 ft. The second would be to limit subdividing an existing house in a R-4 zone to no more than two units regardless of lot size. To better understand this proposal, ANCs 1A and 1B have collaborated to host a town hall meeting so that residents interested in learning more about this proposal have the opportunity to ask questions and express concerns (flyer below). The town hall meeting’s primary focus will be on OP’s R-4 proposal, although related topics will be introduced as they help provide a broader context and understanding for the discussion. 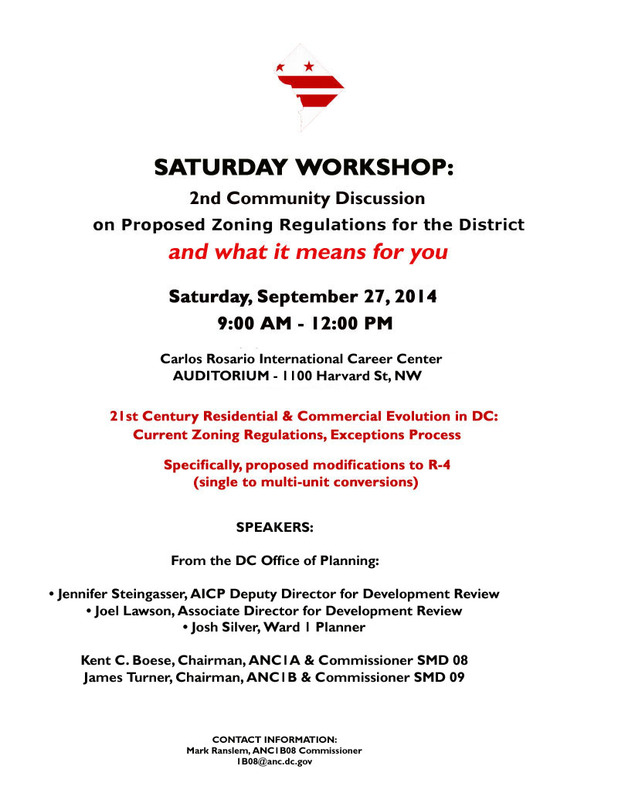 Jennifer Steingasser, Deputy Director, Development Review and Historic Preservation at the DC Office of Planning will be a key speaker at the Town Hall. It should be an interesting discussion. 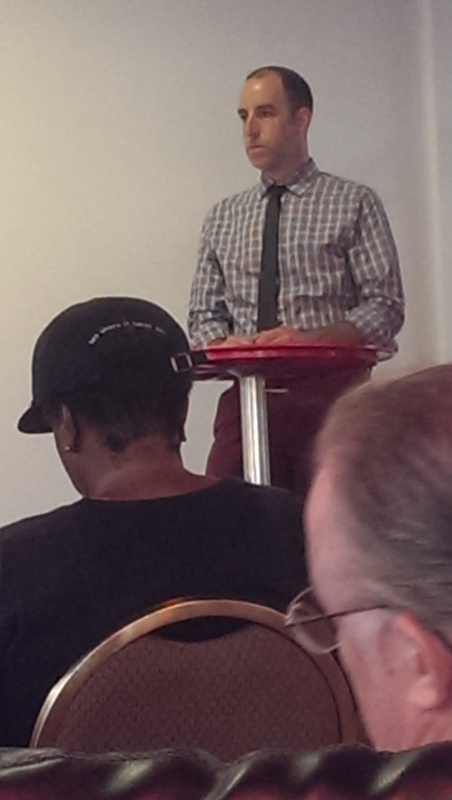 Josh Silver, the Office of Planning’s new Community Planner for Ward 1, at the GACDTF meeting. Since the departure of Tarek Bolden from the Office of Planning last year, Ward 1 has been without a permanent Community Planner. That changed on June 2, 2014, when Josh Silver was hired to take on the roll. So far, I’ve had the opportunity to meet Mr. Silver twice. Not only did he attend and introduce himself at the July 14th Georgia Avenue Community Task Force meeting, but he also joined me on a walk through the Park View community on Saturday morning, July 12th. We walked a good amount of the neighborhood and Josh took several notes on his observations of our planning challenges. My initial impression is very favorable. While his background is impressive, what I like most is how engaged he is. Much of the outreach he has done so far has been self-initiated. With just over a month in the role, he has already done a significant amount of outreach and values communication and accessibility, meaning he is approachable and interested in partnering with the community on our planning challenges. As you can read from his bio posted on the Office of Planning Web site and below, I’m also encouraged by his experience with historic preservation. Mr. Silver comes to the DC Office of Planning from the Montgomery County Planning Department of the Maryland-National Park and Planning Commission, where he worked for seven years in the Historic Preservation Section. His work at the planning department focused on historic preservation, design review analysis, and land use planning. Mr. Silver holds a Bachelor’s degree in Anthropology and a Master’s in Urban and Regional Planning from the University at Albany, State University of New York. Mr. Silver is a District resident and looks forward to serving the residents of Ward 1 and commuting to work by bicycle. I’m looking forward to working with Josh in the coming year — especially as the District’s Comprehensive Plan is revisited next year.